Picture book authors accept (begrudgingly!) that only a percentage of their stories will see publication. It varies, but even A-list authors might only get one in eight manuscripts published. What happens to all those unpublished stories? This is the tale of one of those stories. Back at the turn of the century (literally) I sent a story to a publisher. It was called Blue Thingy and in 470 words it told the story of two kangaroos in the Australian outback who are given an umbrella and haven’t a clue what to do with it. 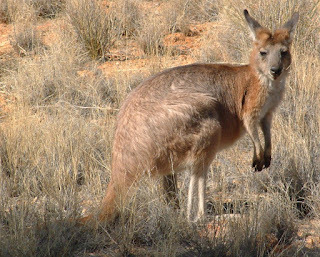 The editor felt there was potential, although she said kangaroos were a problem, especially as the Australian setting wouldn’t be acceptable in the American market and I’d need to use more universally familiar animals. Also, the ending was flat and a bit pointless. So I rewrote the story and Blue Thingy with kangaroos was transformed into Red Thingy with rabbits (450 words). Again, the editor thought it had potential, but was too episodic, lacked a real climax and was similar to another picture book they’d done which hadn’t been successful. 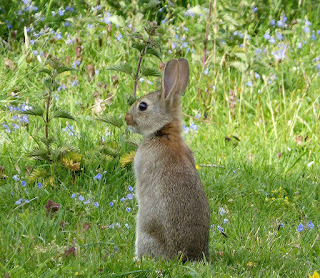 She felt it needed a stronger storyline with the two rabbits setting out on a journey. Once again I rewrote the story and Red Thingy became Big Carrot (530 words). There was a new underlying theme and it became an adventure story about young rabbits searching for a big carrot (obviously an orange and green umbrella looks very like a carrot!). 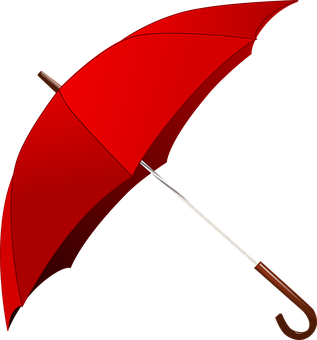 Unfortunately, the editor had now gone a bit cold on the umbrella idea and felt the story was too contrived. Therefore I filed it away and wrote new stories. That's life. Then, a year later, I had a lovely surprise. A new editor at a different publisher asked me if I’d like to send her my unpublished story about rabbits and an umbrella. She’d remembered reading it in her previous job and had liked it despite the fact it had been rejected by the other editor. Unfortunately, Big Carrot still didn’t make it into publication. Instead, all my umbrella stories languished in a file for over fifteen years until I received an email from another publisher about a new series of reading scheme books. Unlike many stories, I’d never forgotten my original story about kangaroos and an umbrella. So when I was thinking about stories that would be fun, simple, and have a strong visual element, the mysterious umbrella seemed to have potential. However, a reading scheme book isn’t the same as a picture book. Now I had to write a story that children would read for themselves (unlike picture books that are written to be read by adults to children and can use richer, more complex language). Reading scheme books might appear ludicrously simple to write, but they’re not. Absolutely not! Plus the story has to engage and inspire children to persevere with their fledgling reading skills and also give opportunities for discussion. I had a word count of just 125 words. Yikes! Plus the publisher had meticulous lists of phonic sounds appropriate to specific reading levels, and apart from a few key words, there could be no deviation from the lists. Thankfully this wasn’t new to me as in the past I’d enjoyed playing with words until they fit both the story and the restrictive list of permitted phonic sounds. It’s like doing a word puzzle. For example, I could use the decodable word ‘lightning’ but not ‘so’ or ‘said’. I could use ‘hot’ but not ‘cold’. ‘Lizard’ but not ‘mouse’. It makes sense when you know the progression of the phonic sounds, though it can be hard to ensure the story sounds natural. I rewrote the story and changed the kangaroos to goats (a permitted word). Perhaps fortunately, the publisher already had a story in the series about goats so I had to think of a new animal that would live in an African desert (this time the publisher was keen to introduce an environment that wouldn’t be overly familiar to the reader). Phew, I was permitted to pick an animal that didn’t have to fit the phonic sound restrictions. Therefore I researched fennec foxes, sand cats and meerkats. 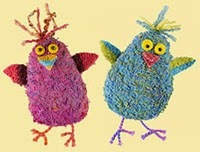 The first two were cute but nocturnal, which would have been tricky for the illustrations. The editor liked meerkats, so I stopped worrying that we’re more familiar with meerkats in the UK because of a certain advertisement. 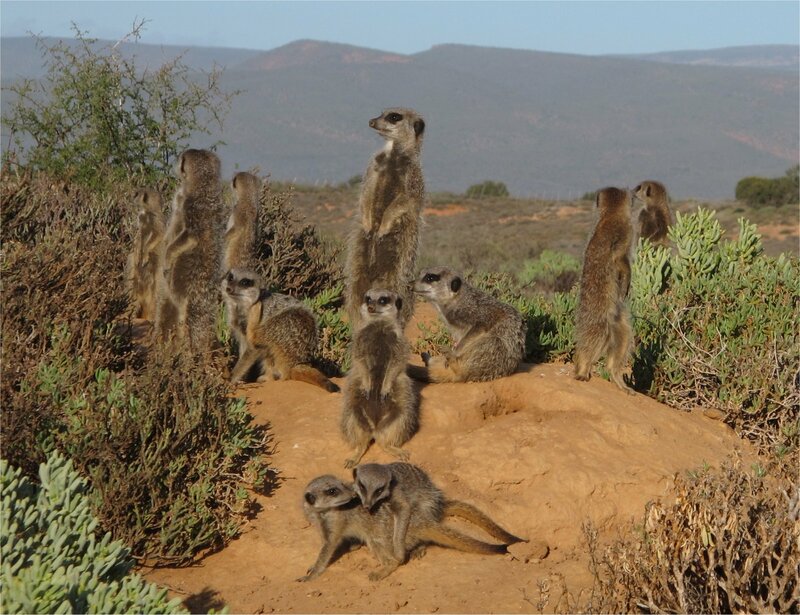 Now the story was about meerkats discovering a mysterious thing in the Namibian desert (the reader knows it’s an umbrella, but not the meerkats). Series editors and educational consultants then discussed my story and eventually we all agreed on the final text. Now it was time for the illustrations and testing by children. The publisher commissioned Jonny Lambert for the illustrations and I like his style of digital collage and the delightful little extras he slips into the images. I suspect I’d be staggered if I knew everything that was done behind the scenes at the illustration stage. FINALLY, seventeen years later, Thing is published. You won’t find it basking on the shelves of Waterstones, though you should find it in many schools around the world. Thing is only 125 words and looks small and flimsy. On the surface it might appear insignificant. However, now you know how deceptive appearances can be. Rather like mysterious umbrellas! Thing by Paeony Lewis and Jonny Lambert is published by Oxford University Press. A lovely post, Paeony. Several of my published stories have had to be recast and relocated in the same way, including one that has just been published for the very same OUP phonics series! Snap! Many thanks, Jonathan. I see you've done quite a few. Have you ever then wished you could rewrite any again as a traditional picture book, but now improved? My chapter book Danny Dreadnought Saves the World, was originally written as a picture book called Daisy Dreadnought Saves the World. While I'm very pleased with the way the chapter book came out, I still think it would have made a great picture book, but I'm grateful to get it published in any form. 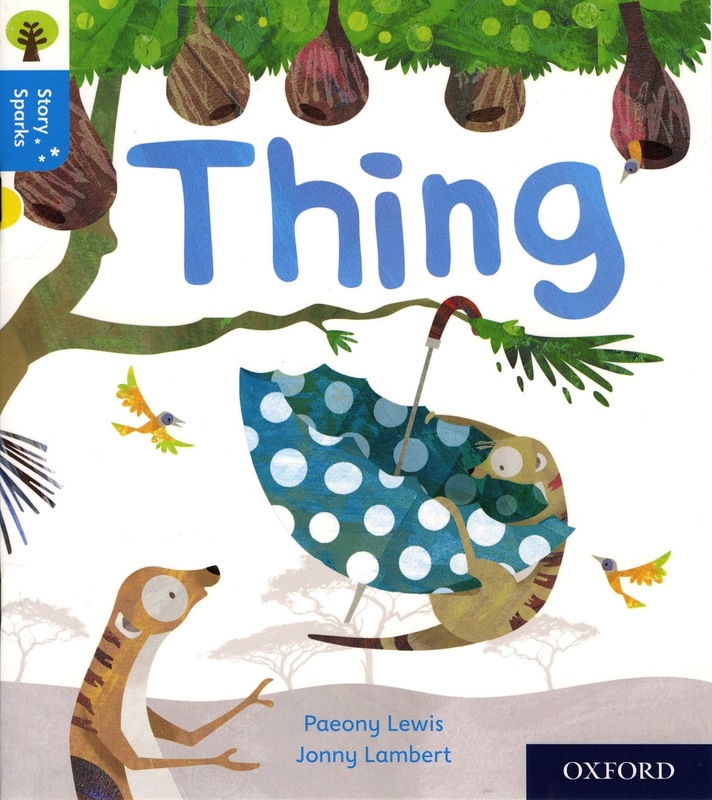 Yes, and although I wish I could now rewrite 'Thing' as a picture book with meerkats, I'd never have got to that point if I hadn't been rewriting it as a reading scheme book. This was a lot of fun to read. Three of my recent books with OUP Pakistan has the same journeys - from picture books to finally becoming readers over many years. A good story will work in any format. Who knows Thing might be animated soon. :) funnily enough the one they accepted recently is with an umbrella too. Ha ha, the British climate makes us think of umbrellas! Good luck with all your reading scheme books, Chitra, and many thanks. Loved this! What a journey! Many thanks, Candy. It did take a while! This did make me smile, Paeony, glad you found a home for your lovely idea! Thanks, Jane :-) Recycling ideas is great when it works! This is one of the most inspiring road to publication stories I've ever read! And by the way, as an American, I love kangaroos! I'm delighted to have inspired you, Rebecca :-) Many thanks. However, I'm glad all my books weren't so protracted! The editor's comment about kangaroos surprised me too as I assumed they were familiar to everyone. Wow! And wonderful! So glad it finally made the light of day - with all that work! Thanks so much, Katherine. Now, with more experience, I wish I could rewrite it as a picture book (with meerkats!). So glad you persevered. Thanks for sharing your story. WOW, good story on perseverence. In fact, you hear that continually about authors who don't give up. I always wondered who wrote those reading books. My son had to read many in Aus. I wonder if a publisher in Aus would have liked your kangaroo story. There is a huge sense of pride over their country and animals and Mem Fox may have started this with her books about possum magic and koala characters. Claire Alexander had an editor tell her she couldn't have a hedgehog in her book because they don't have them in the USA - and that is a lie! I lived there and we hired a petting zoo w/ a hedgehog for my son's bday. UK editors are very careful about those things because the market here is so small. Congrats on getting it published in the end – the illos look great too. Many thanks:-) I think early reading books are great fun to write, albeit not everyone shares my enthusiasm and I suspect it's because I like writing 'short' and playing with words. I never thought of trying an Australian publisher and only sent the kangaroo version to one editor - sometimes I'm my own worst enemy and give up too quickly! By the way, I gather that in the US there are no hedgehogs in the wild, but the African Pygmy Hedgehog is a popular pet (just what I've read - I'm not an expert!). I always thought the comment about kangaroos and the USA was a strange one as they're not an obscure animal, but perhaps the editor was just looking for a quantifiable excuse for rejection. Wow! 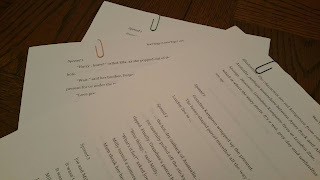 Thank you for this post on writing and perseverance. It was really encouraging to discover that an idea can transform, be banked, changed over so many years and become a published book. I really enjoyed reading your post. Debbie G.
Thanks a lot, Debbie! I suspect it happens quite a bit as one idea leads to another idea, or the original idea is simply transformed. Some ideas stick around longer than others. 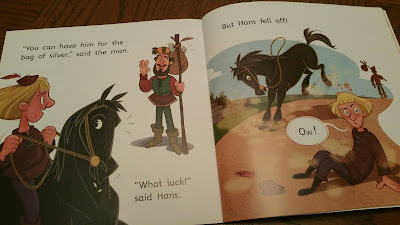 One of my early chapter books was originally a picture book text. What a great story. Looks like we should never give up on something we love. I loved hearing this story! And it says a lot about the role revision plays in a writer's life! Thank you for sharing all about your journey with this book! I love it! Oh SO MUCH "been there, done that" - even the editorial comments are familiar, and that one about Americans being completely incapable of recognising that there other countries/animals etc in the world. Has me wondering if there might even be a single Mighty Editor who just materialises in different guises. Ha ha, Enid! I suppose there's only so much that can be said about a story. Plus I hope that after 17 years I'm better at self editing! I'll admit the kangaroo comment did baffle me as although not indigenious, I believe they are familiar in the US. However, I'll admit I think it can be confusing for young children if there see animals in a story that are not familiar to them AND the story is not obviously set in a different country or environment or the animal isn't explained.